Memphis bumps right up against the Mississippi Delta, but its local blues musicians played in a style that sounded quite different. Where Delta blues tended to feature lone guitarists, Memphis blues often featured ensembles with separate lead and rhythm parts. Where Delta blues tended toward introspection and emotive slide guitar playing, Memphis blues was looser in structure, more carefree in tone and more varied in its choice of instrumentation. (This was, after all, the home of jug band music.) These are generalizations, of course; as the following three recordings demonstrate, there was quite a bit of variation among Memphis artists. 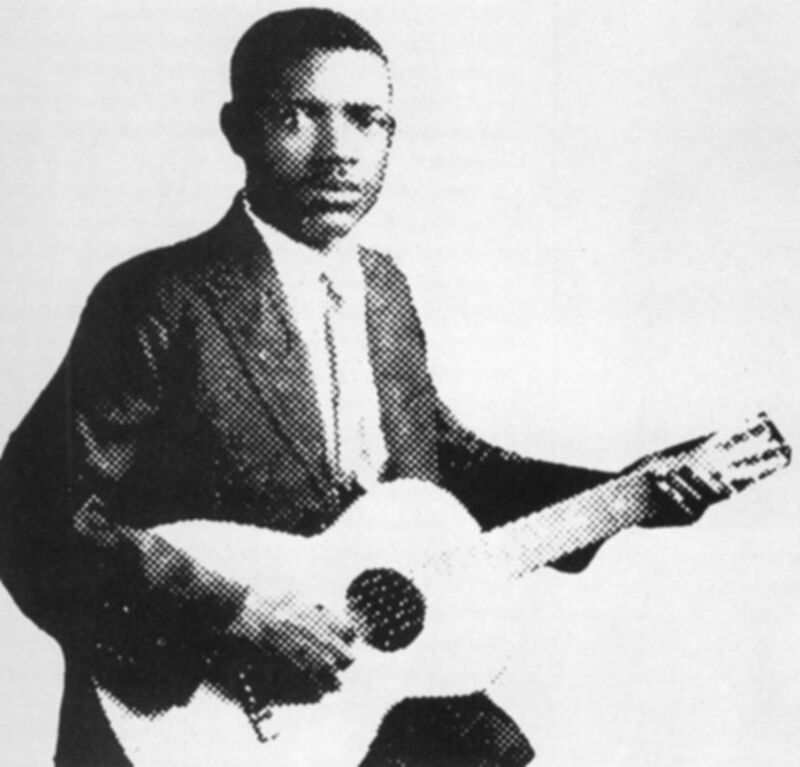 Jim Jackson was a traveling musician based out of Memphis, and a talented “songster” who played a wide variety of material. In the 1920s, Kansas City was a booming city that represented a fresh start for many people, a sentiment that this record captures perfectly. It is an incredibly enjoyable song, and Jackson’s best. This is about as far from twelve-bar blues as the blues can get. At one point, Jackson inserts a couple of lines from Jimmie Rodgers’ “T for Texas,” which shows that blues and country musicians were paying attention and influencing each another, even if their audiences remained largely segregated. Jackson has a relaxed, fluid delivery and a big, warm voice. He is so expressive in this song, you can actually hear him smiling when he sings “It takes a rocking chair to rock, a rubber ball to roll.” But my favorite part is when you can hear him clear his throat a moment later before the next verse. It is an oddly intimate moment that reminds you how loose the performance is, and gives it a “live” feel. Furry Lewis was another “songster” musician based in Memphis. This was his version of a popular ballad about a railroad engineer named Casey Jones, who had famously died in a train crash. (Despite the unusual spelling in the title, Lewis still pronounces it “Casey Jones.”) The story has been retold time and again in song, but Lewis’ version is by far the best ever recorded. It is a two-part record that filled both sides of the single, and the two halves really need to be heard together. Having twice the length of a normal record to work with allows Lewis to unfold the story slowly and causally, adding anecdotes and details about Casey’s life as an engineer before getting to the famous accident about half way through Part 2. By this point, the listener has developed enough familiarity with Casey and his family to be moved by the tragic news. Lewis has a matter-of-fact delivery, and a gentle but intricate guitar style that evokes the sound of a train rolling down the tracks. But he subtly establishes some tension by varying the structure of the song. In Part 1, he repeats the same basic pattern: at the end of each verse, he repeats the last few words, then plays a little bit on the guitar, and then repeats the last line again. He varies this pattern twice, however. First, about mid-way through (after the verse ending with the words “Alabama bound”), he plays a lengthy interlude on guitar instead of a short one (it’s a wonderful moment of anticipation on top of being an enjoyable guitar solo), before again returning to the verse’s final line. Then, at the very end of Part 1, the music ends after his guitar interlude, before he has a chance to return to the verse. That creates a sense of incompleteness and a feeling that something’s not right. In Part 2, he varies greatly from the pattern of Part 1, sometimes returning to the verse after the guitar part, sometimes singing completely different lyrics at that point, and sometimes skipping directly to the next verse. It isn’t until the very last verse that the pattern he began Part 1 with is finally re-established. It is very subtle, but adds to the sense of excitement and uneasiness. 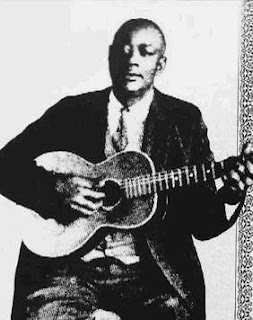 When people talk about Memphis having a distinct pre-war blues style, they are usually referring to Frank Stokes and his imitators. 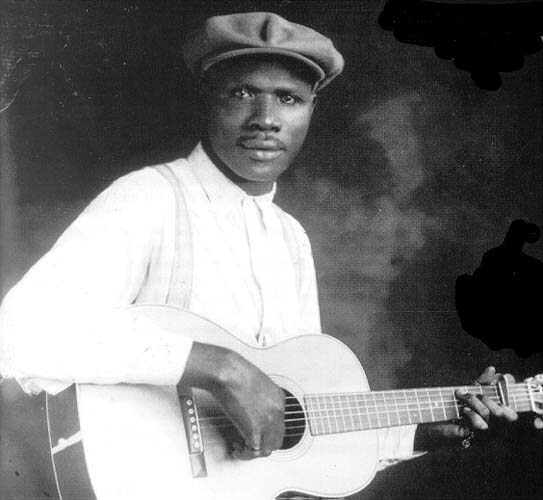 Stokes was another “songster” who skillfully borrowed elements from all of the region’s diverse musical styles (ragtime string band, jug band, blues, country and more), and merged them into an upbeat blues style that proved extremely influential. “Downtown Blues” is one of his finest efforts. The interplay between Charles Johnson’s mandolin and Stokes’ guitar here is magical, as the mandolin picks out a high, tight melody over the bouncing rhythm of the guitar. (Compare this to the sound of a jug band and you will hear a lot of similarities.) Even better, though, is Stokes’ lively singing. His voice is full of character as he stretches notes out and bends them to his will, modulating the pitch and the volume with an expert sense of showmanship.